• Structure ID: NBI 000000000606260. • Location: River Mile 581.0. • Daily Traffic Count: 15,400 (2002). • Length: 4,031 Feet Overall, 258 Foot Longest Span. 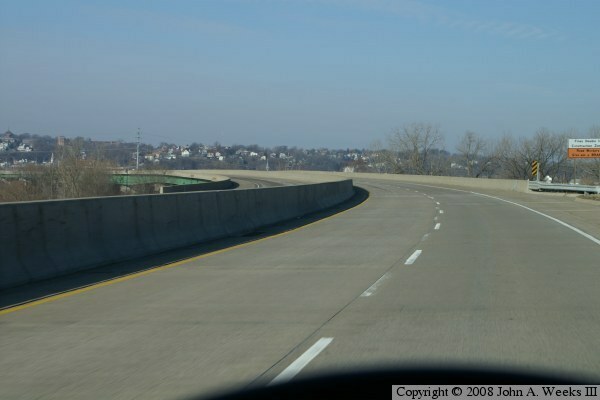 • Width: 74 Feet, 4 Lanes. • Height Above Water: 40 Feet. • Date Built: Opened 1991. 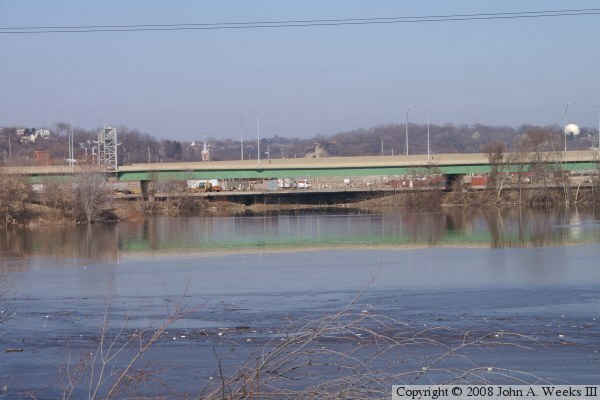 When the Dubuque-Wisconsin Bridge opened in 1981, it ended on an island in the river called City Island. From City Island, a new bridge was constructed over the Peosta Channel of the river along an alignment that would meet up with East 16th Street. 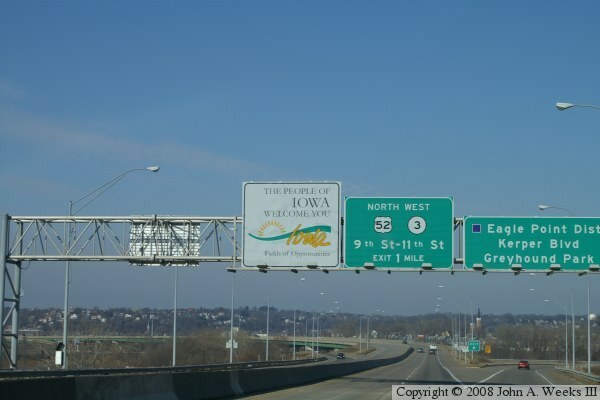 In the late 1980s, a riverfront expressway for US-61 and US-151 was funded. 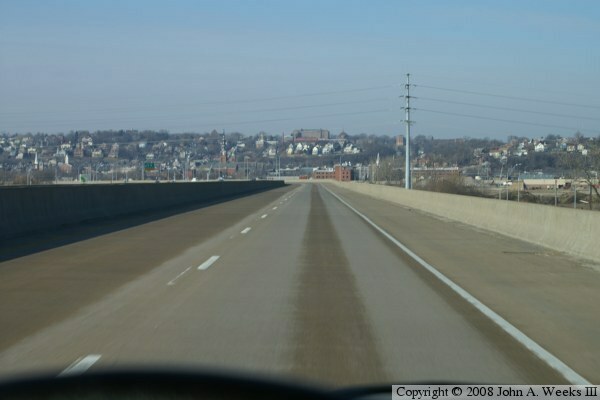 This nearly mile long curving bridge was designed to fill in the gap between the Dubuque-Wisconsin Bridge and the new waterfront expressway. 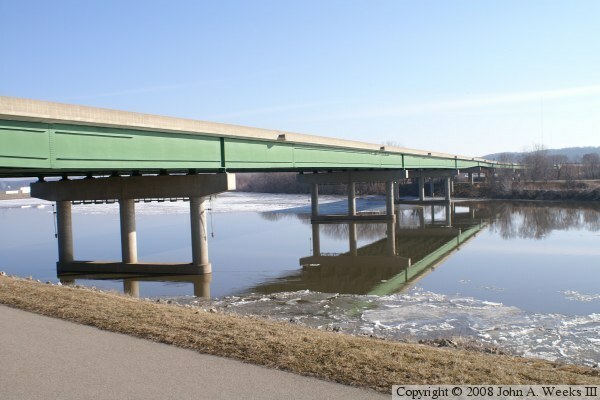 The bridge crosses the Peosta Channel of the Mississippi River, as well as a backwater pond. Despite crossing two bodies of water, only 5 of the 20 spans of the bridge are over water. City Island has since been named Chaplain Schmitt Memorial Island in honor of Father Aloysius Schmitt, who was killed in the Japanese sneak attack on Perl Harbor in 1942.